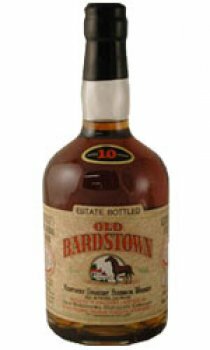 Located just on the outskirts of Bardstown, Kentucky, Kentucky Bourbon Distillers is today the only remaining small family owned distillery in Kentucky. The distillery was originally built by the Willett family of distillers, who brought their distilling knowledge with them from England to the American Colonies in the early 1600's. Before coming to the Colonies, they had utilized their knowledge and practiced their talents in their Mother country for many years. Before that, they had distilled Brandy in France, where the family originated. Even today, this is evidence by "Square Willette," at the foot of Montmartre in Paris. After settling in Kentucky, the Willett family of distillers were involved with the building of several other distilleries in Kentucky before finally building their own in Bardstown. The distillery was operated by the Willett family of distillers from just after the repeal of Prohibition until the mid 1980's as The Willett Distilling Company, Inc. In the mid 1980's the older generation of Willett's wanted to retire and stepped aside for the next generation to continue the centuries old family tradition. At this time (mid 1980's), a tremendous upsurge in the demand for Bourbon from the international markets created new demands, challenges and opportunities for the younger generation just stepping in to take over. One of the first challenges facing the younger generation was to identify and relate the company's products and services to the ever-growing market demand for Bourbon around the world. Although The Willett Distilling Company, Inc. had attained an irrefutable reputation for making what the called The Greatest Kentucky Bourbon, it was only known in a handful of markets in the southeast portion of the USA.